A Va. House panel voted down a measure that would permit local governments to move Confederate monuments, while a Senate committee blocked a bill that would allow a county, city or town to rename any highway named before 1965. WASHINGTON — Proposals to allow local Virginia governments to move Confederate statues or memorials or to rename highways died in two separate committees Wednesday. In the House, a Counties, Cities and Towns subcommittee voted 6 – 2 — with one Democratic vote from Del. Steve Heretick of Portsmouth — to effectively kill bills that would have permitted local governments to move Confederate monuments. The proposals became a focus in this fall’s governor’s race after a white supremacist rally in Charlottesville. That August event preceded a woman being killed when a man plowed a car into a crowd. A Senate committee had already killed similar bills. The Senate’s Transportation Committee voted 7 – 6, along party lines, to block a bill filed by Democratic Arlington Sen. Barbara Favola that would have allowed any county, city or town to change the name of any highway named before 1965 that is within its boundaries. Before the committee voted down Favola’s bill, Republican Sen. Amanda Chase attempted to delicately ask whether it would protect Confederate-related street names, before getting specific. 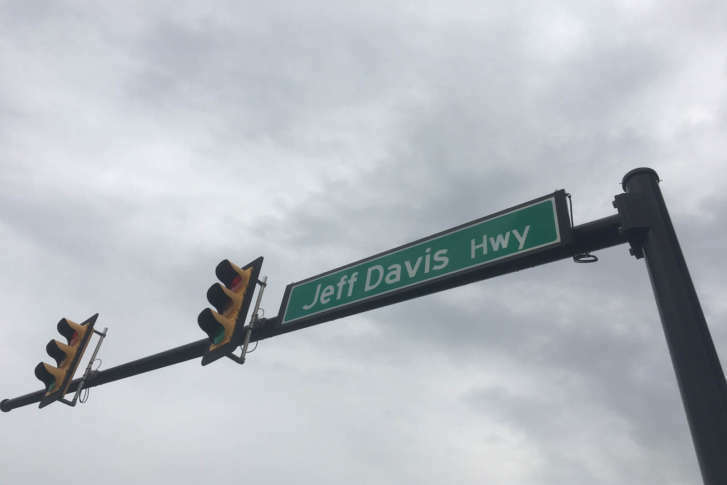 While the bill would allow any street name to be changed, Favola introduced the bill because Arlington County expects the city of Alexandria to change the name of Jefferson Davis Highway within the Alexandria city limits. “They’re adjacent jurisdictions, and it would be very confusing to have one portion changed and Arlington not go ahead and do that,” Favola said. She promised that had the bill passed, there would be a substantial public process before deciding whether to rename a road and what to change the name to. “The culture and values and the political leanings of a certain jurisdiction will come into play,” Favola said. Today, cities, counties and towns can name smaller streets, roads and alleys. And, as in the Alexandria and Arlington examples, cities have some additional authority to rename certain roads that counties do not.